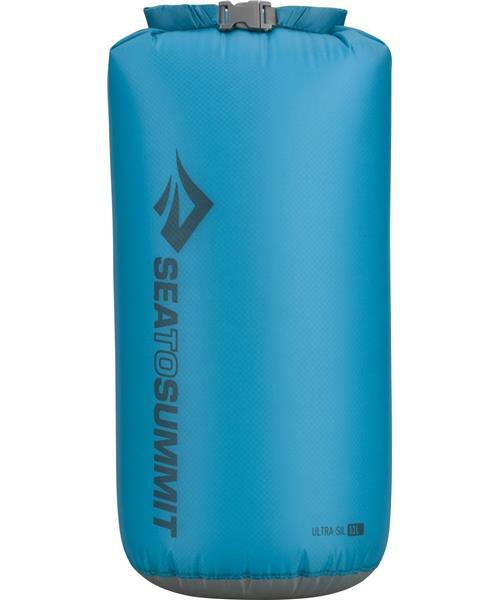 Ultra-Sil Dry Sack - 13L is rated 4.0 out of 5 by 1. Rated 4 out of 5 by JoSt from Great Product bu defective clasp These dry sacks are wonderful for backpacking as they a light and act somewhat as compression sacks also. This size fits my entire bedroll or clothing for a 3 to 5 day trip. I carry two. This one will go back as its clasp does not undo easily and may, as a result, fail early. Overall, however, it is a good product from a company I trust.